blog.atwork.at | Ready for European Collaboration Summit 2019! 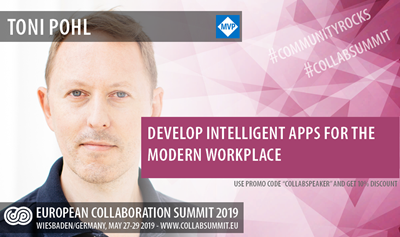 We from atwork are honored to be part of CollabSummit.eu as in the past years (see 2018 and 2017). Check out the first announced sessions at Collabsummit 2019 program is here!! 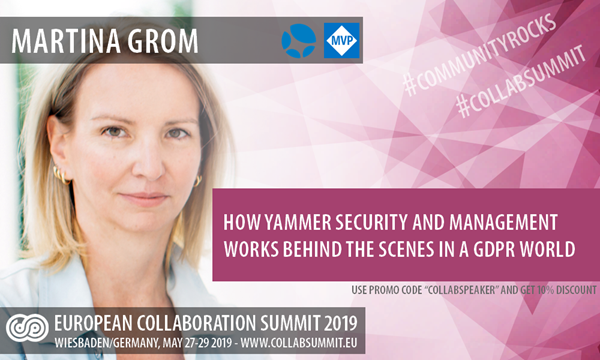 Martina is part of the content team and she will deliver a session about "How Yammer Security and management works behind the scenes in a GDPR world". I am proud to inform about how to "Develop intelligent apps for the Modern Workplace" at the conference. 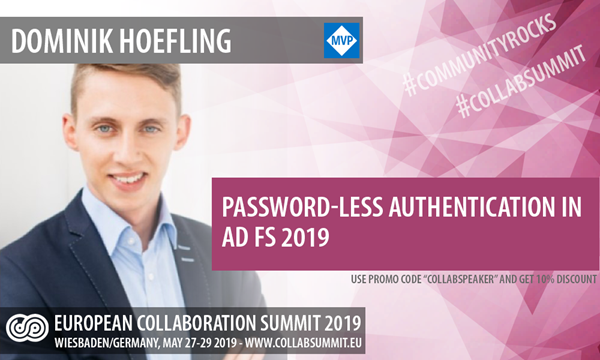 Our colleague Dominik will talk about "Password-less Authentication in ADFS 2019". So, don't miss this conference with great content, international speakers from the community and a lot of networking! Get your tickets at collabsummit.eu/tickets and use the following the promo code COLLABSPEAKER for a 10% discount! #collabsummit will be a blast (again). Book now and we hope to see you there!